These presentation slides 45563 are complete compatible with Google Slides. Simple download PPTX and open the template in Google Slides. 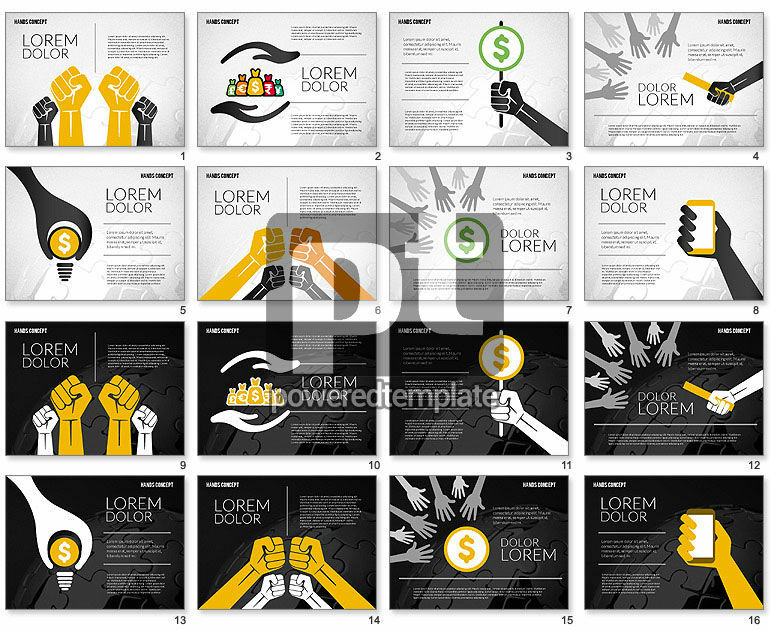 Don’t miss a chance to use this template with various hands in many positions, created in a modern flat design style and dedicated to reports, results, processes, teamwork, step by step actions, networking, support, and so forth. This incredibly stylish sample may be used in all spheres of business, media or network. Be sure that with this theme you’ll get through the audience and gain success.